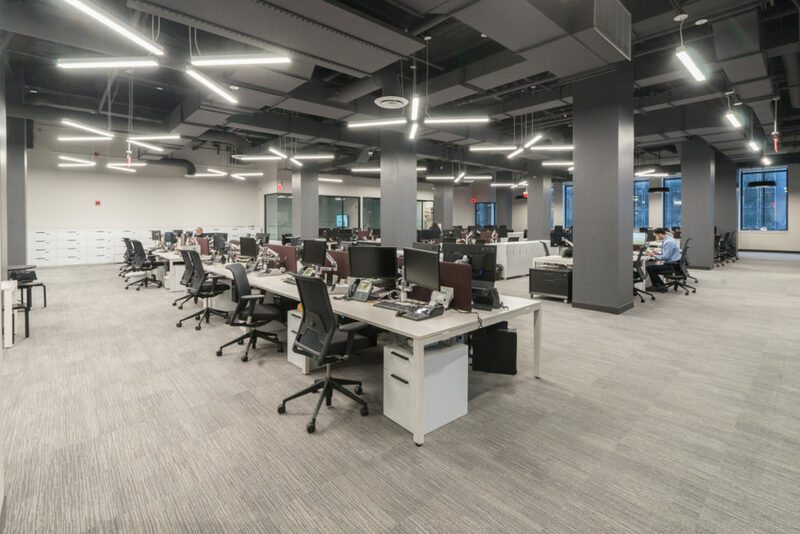 A community bank has become the first commercial tenant at the rehabilitated Hahne & Co. building in Newark, following a build-out completed by Hollister Construction Services. 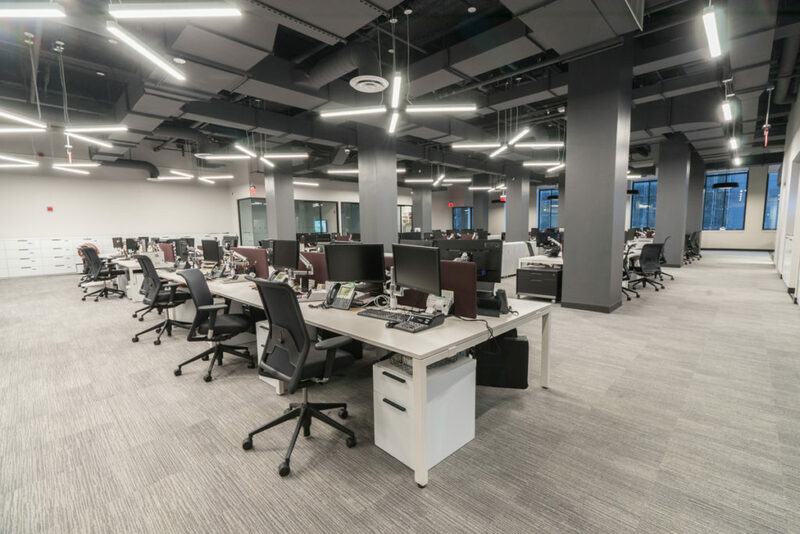 The construction management firm delivered the 13,000-square-foot headquarters for City National Bank inside the historic former department store, located at 609 Broad St. in the downtown. 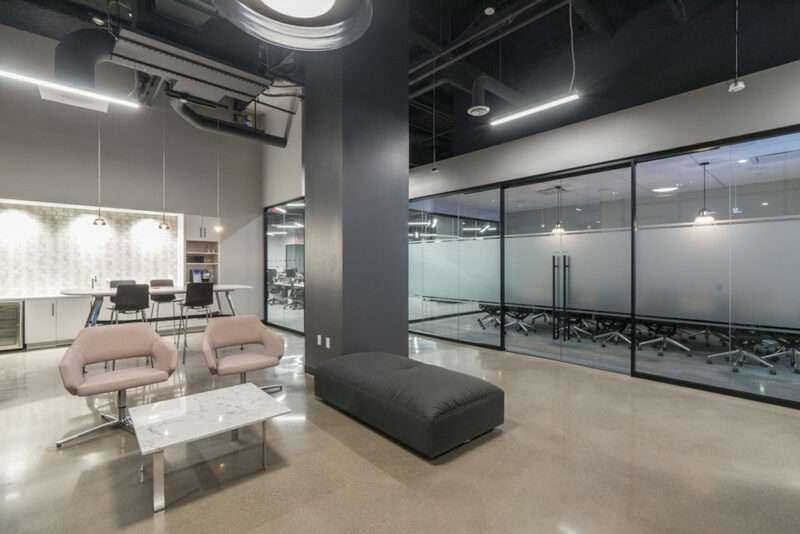 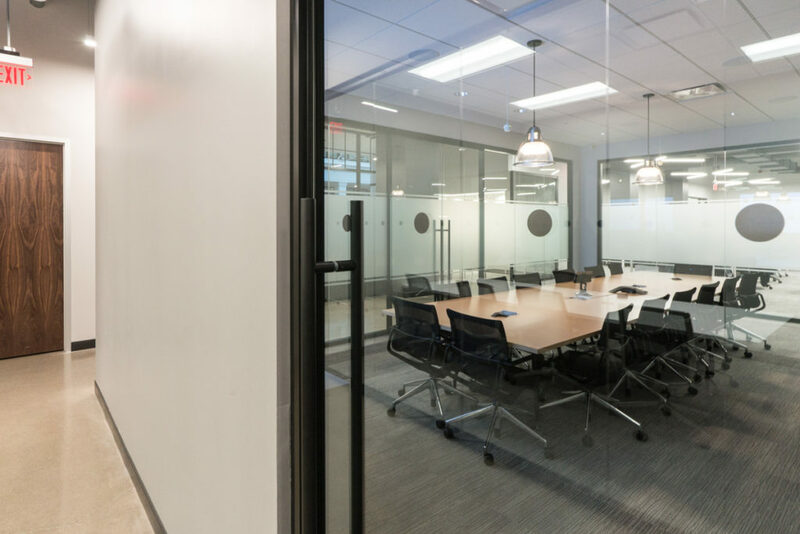 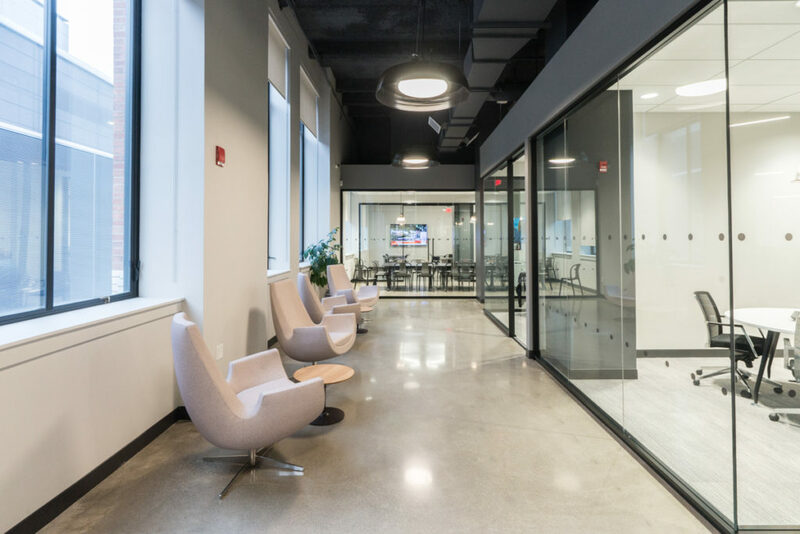 Designed by KSS Architects, the second-floor space includes a reception lobby, conference and huddle rooms, a kitchen and open collaborative areas. 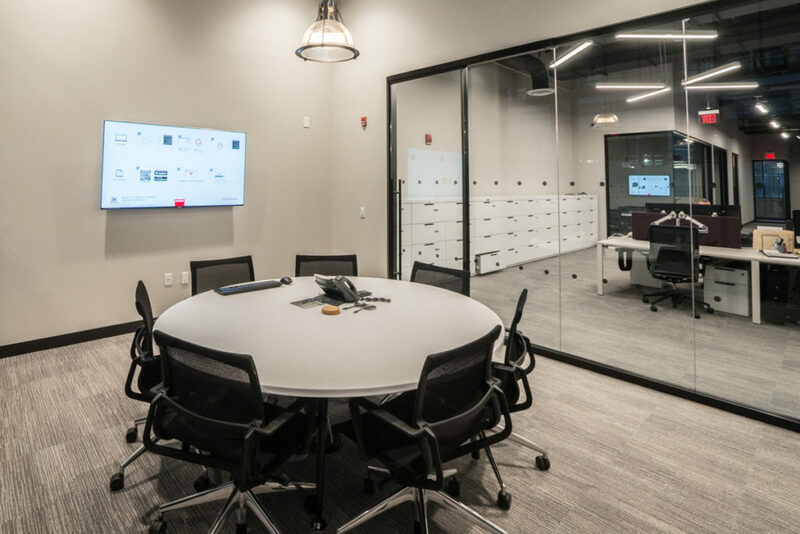 The new space also features an executive area with private offices and additional conference, Hollister said. 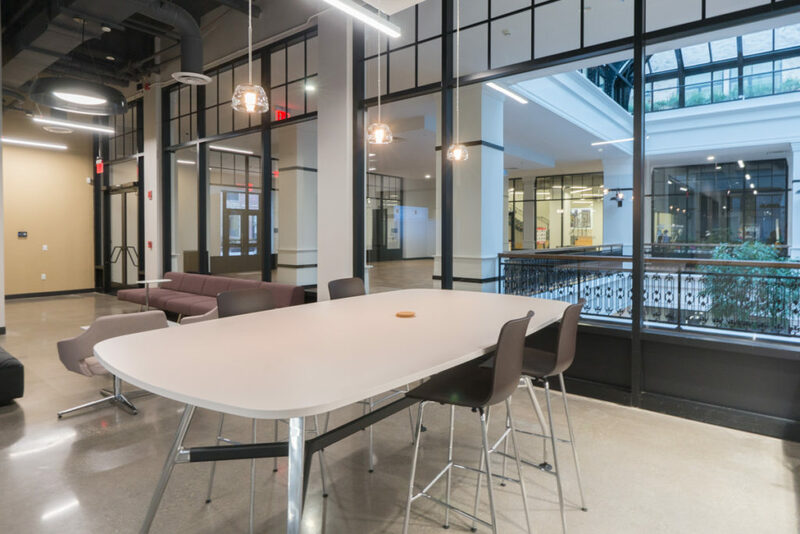 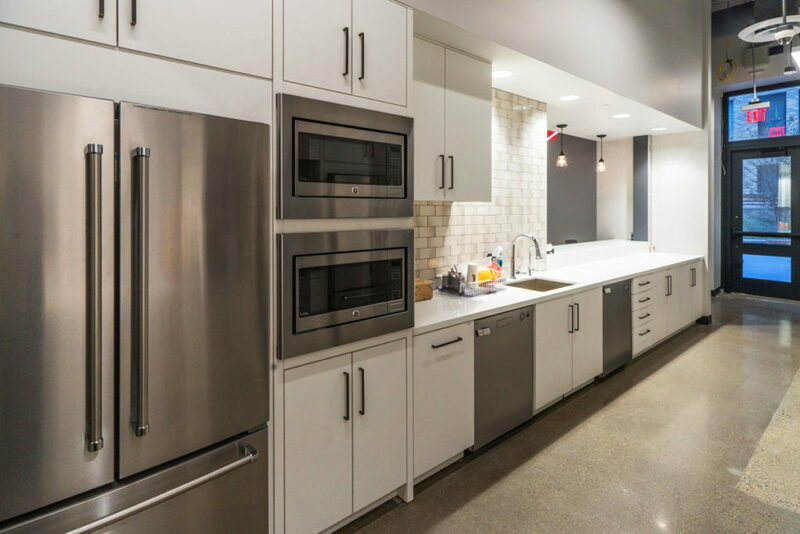 Meantime, employees have access to the common areas of the Hahne’s building, including a two-story atrium and nearby amenities such as Whole Foods. 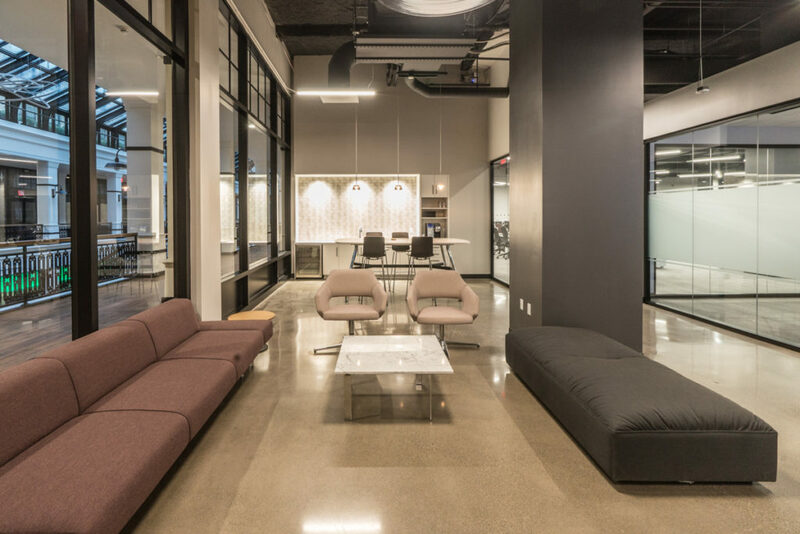 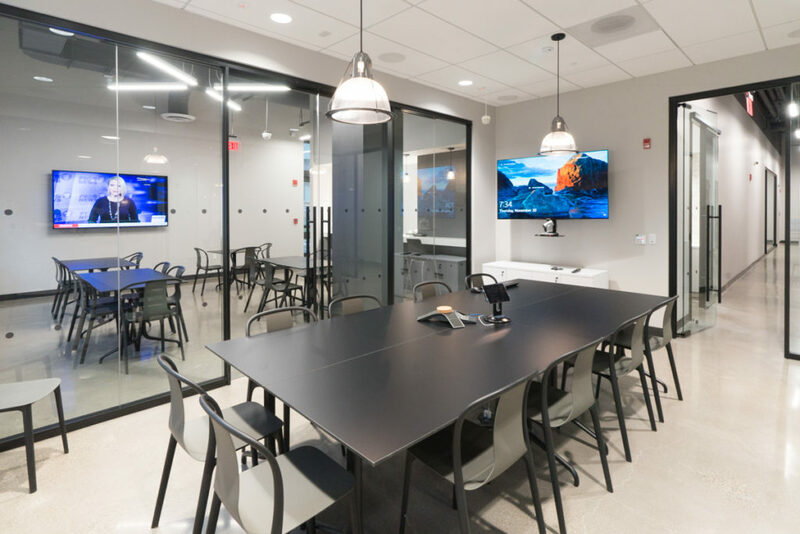 “Hollister was proud to be a part of the team in bringing CNB’s vision to life for their new corporate headquarters located in the iconic Hahne’s building,” said Tony Bienert, project executive with Hollister. 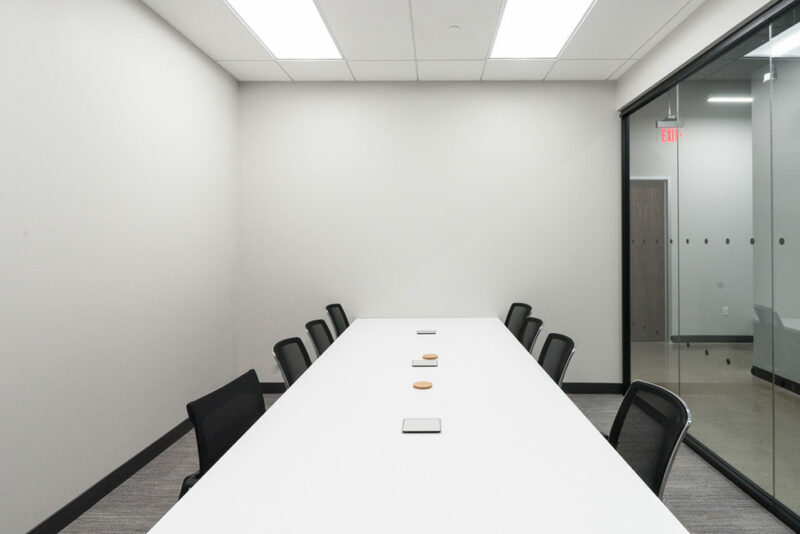 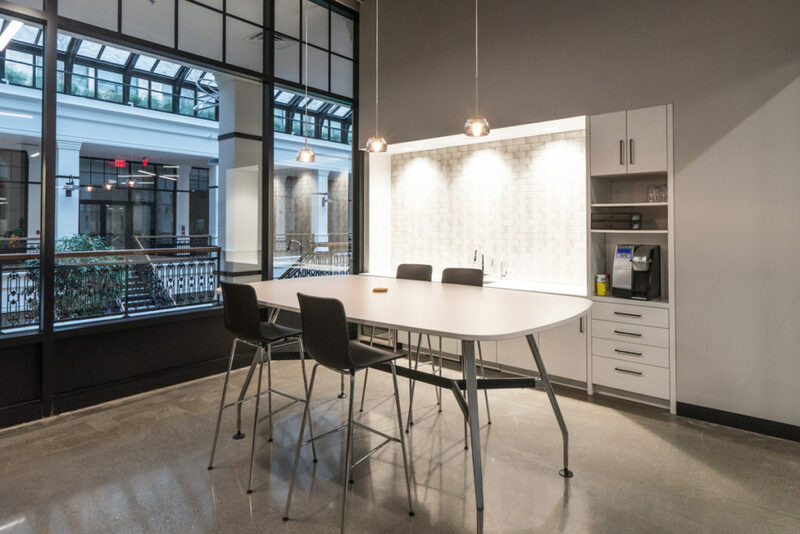 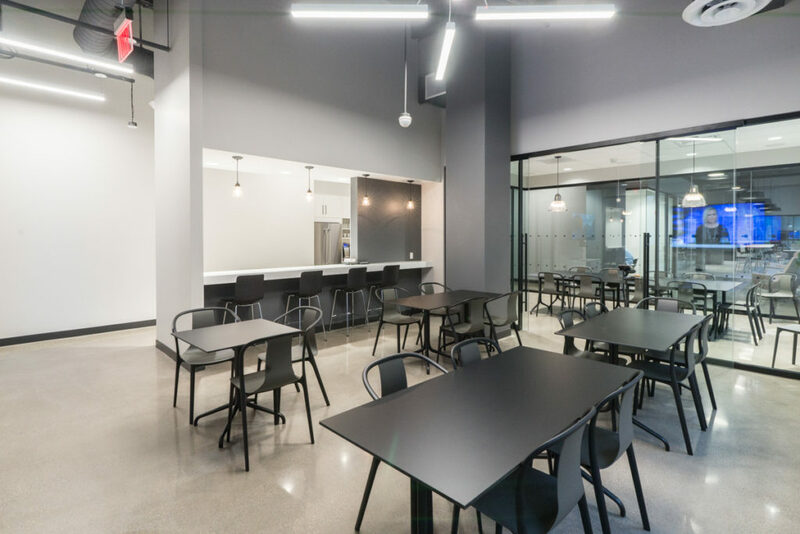 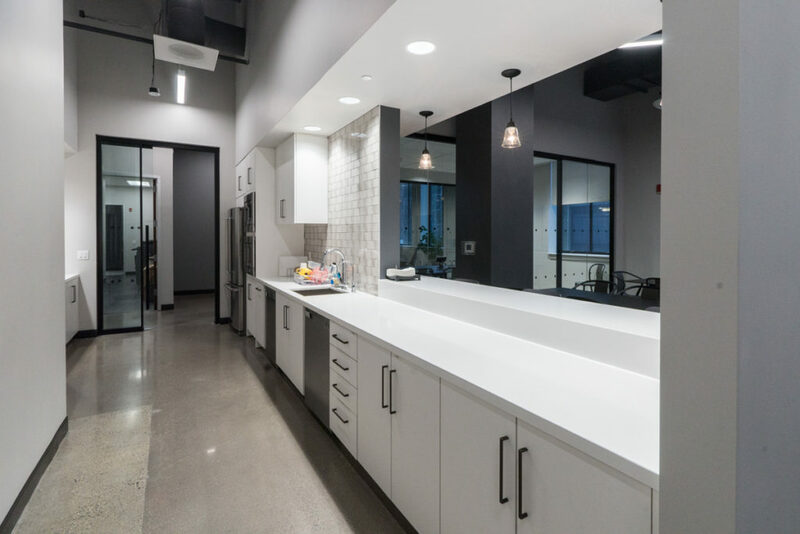 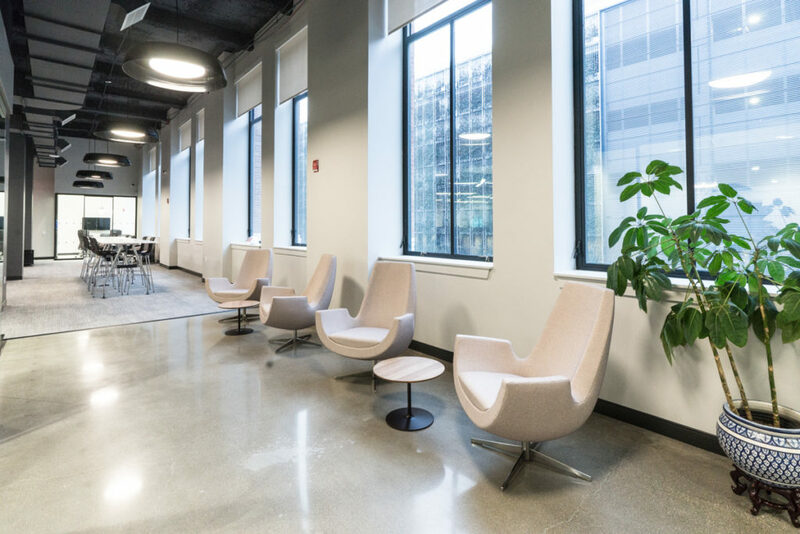 “The space is truly stunning with 18-foot open ceilings, full height perimeter windows, modern glass office fronts and an outdoor terrace area. 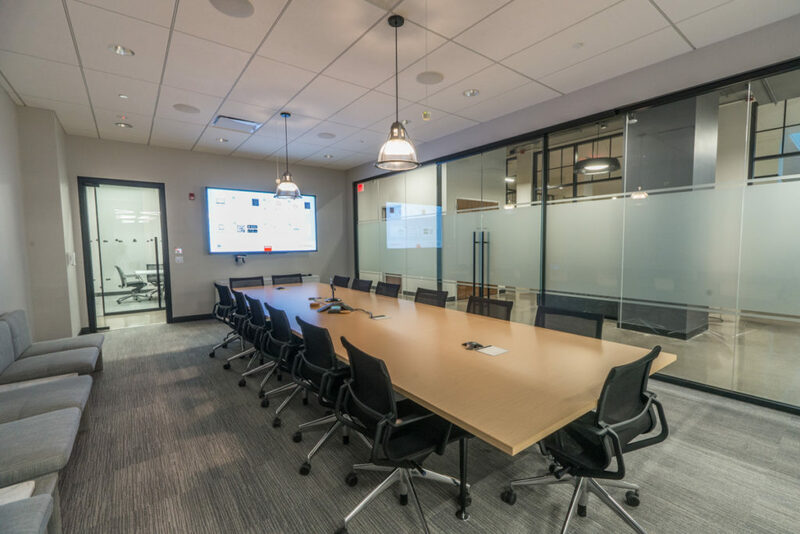 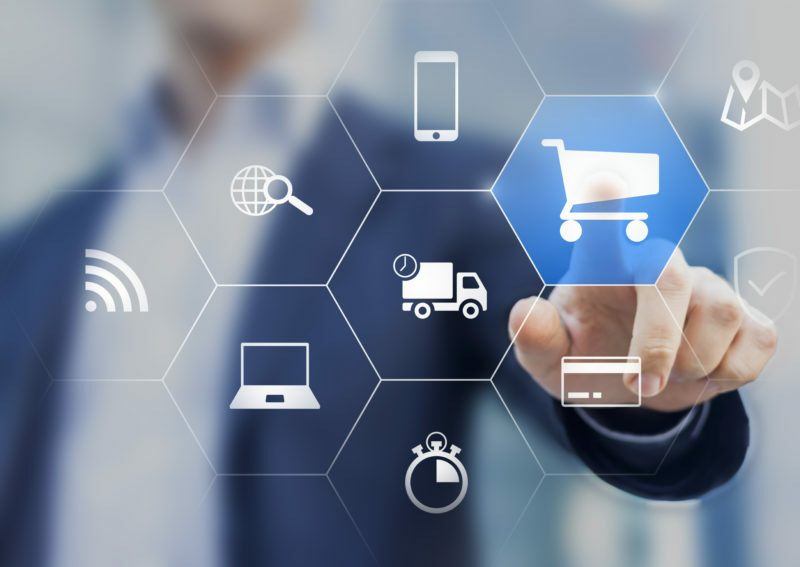 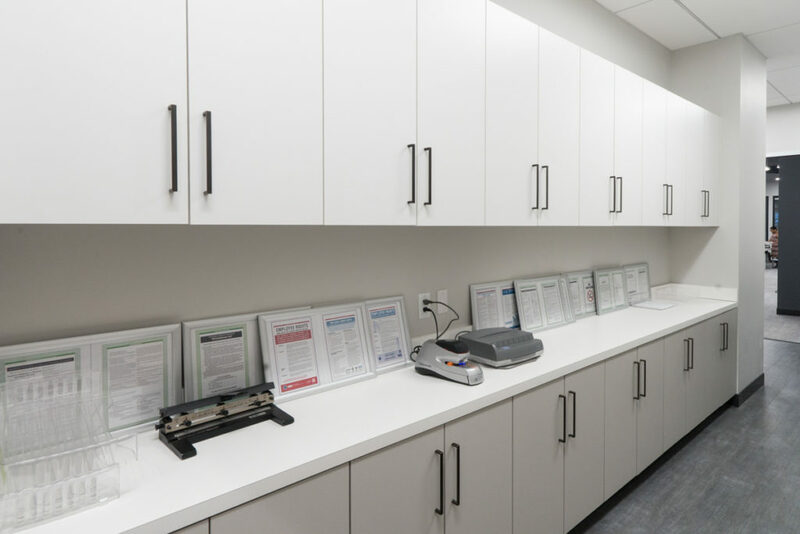 The Hollister team also included Project Manager Mary Munoz, Superintendent Dennis Gabel, Project Coordinator Christina Gesualdi and Senior Estimator Kwame Assoku. 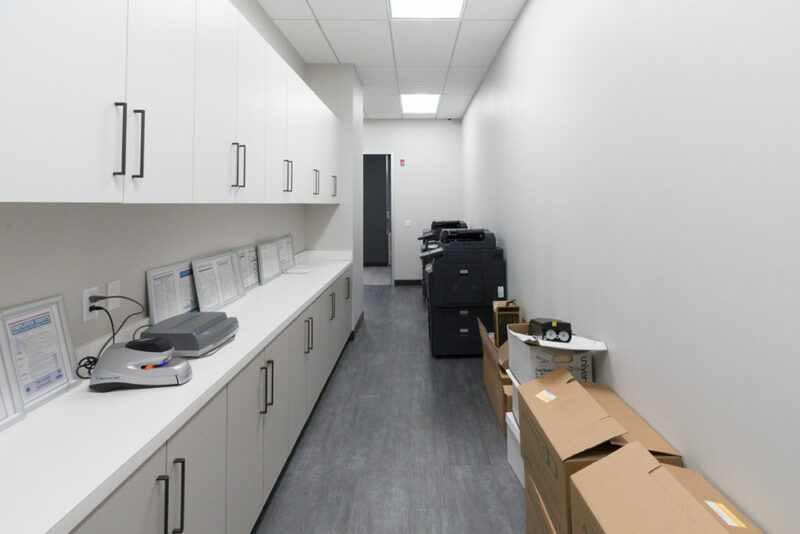 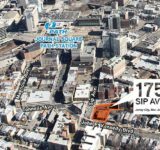 City National, a 45-year-old community-focused financial institution, relocated to the building from about a half-mile south at 900 Broad Street. 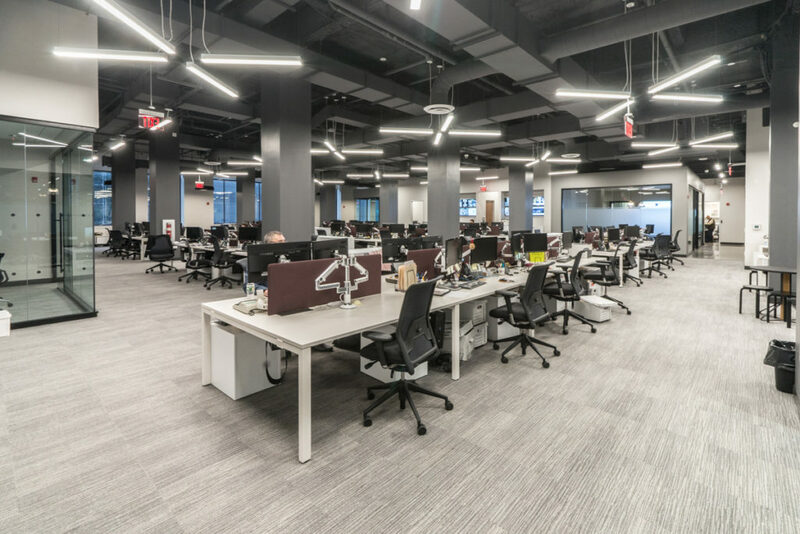 The bank is now helping to anchor the revitalized Hahne’s building after the department store has sat vacant for more than 30 years. 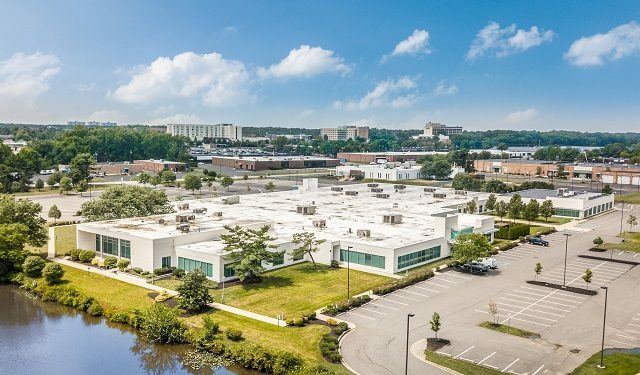 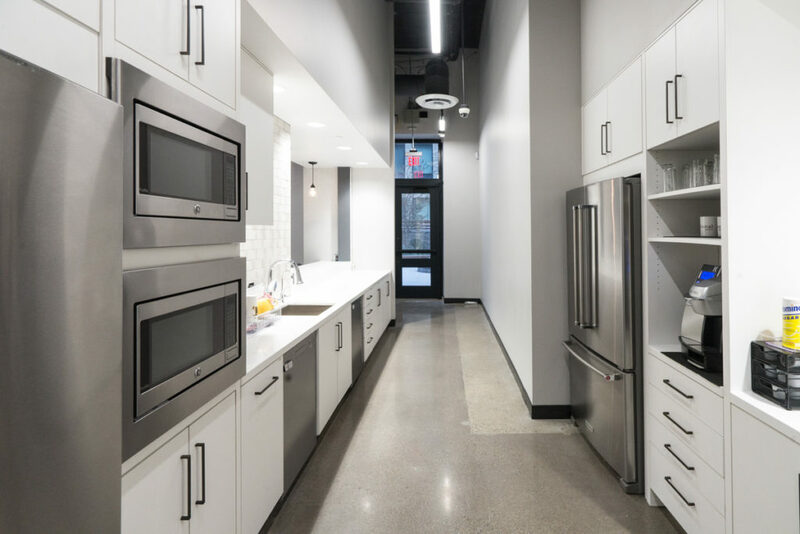 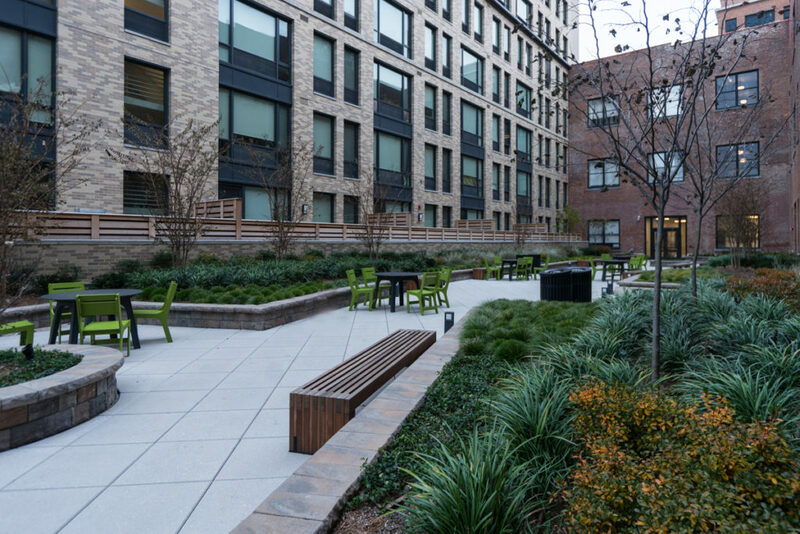 A development team led by L&M Development Partners has rehabilitated the complex to now include spaces for commercial tenants, Rutgers University and the city’s first Whole Foods store, along with 160 apartments. 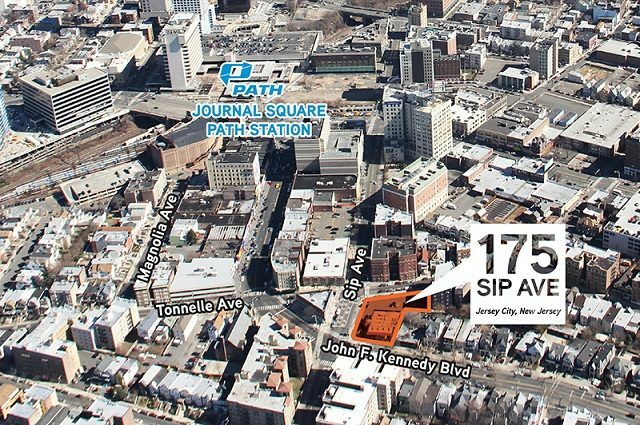 The property sits within Newark’s Military Park neighborhood and is part of a newly redeveloped stretch of Broad Street. 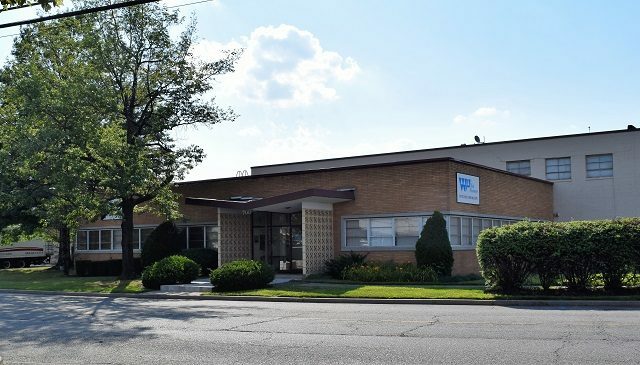 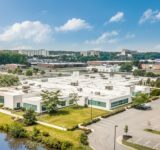 Toronto firm buys 264,000 sq. 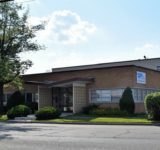 ft. office complex in Morris Co.